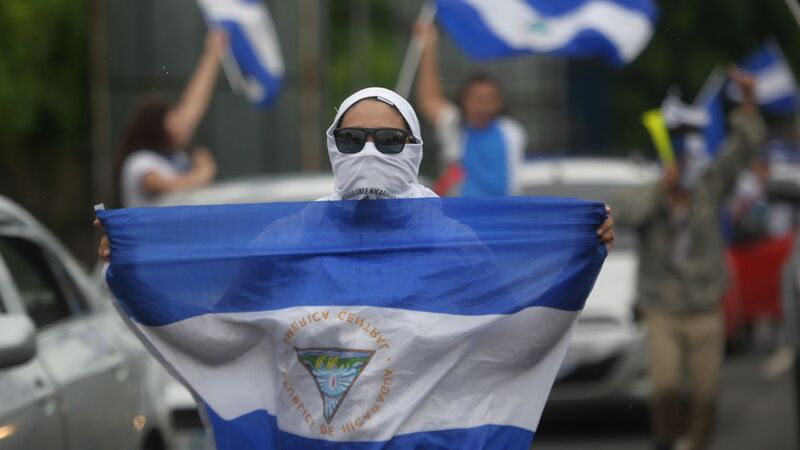 With political violence claiming over 300 lives since anti-government protests erupted in April, the rebellion in Nicaragua may be headed for full-blown civil conflict. The background: As the standard-bearer of the leftwing Sandinista political movement that took power through the bullet in 1979 and left power through the ballot in 1990, Ortega has fully completed the cycle from revolutionary to reactionary. Following the playbook of the Somoza family dictatorship that the Sandinistas overthrew, Ortega — re-elected in 2006, 2011 and 2016 — has threatened to create a new family dynasty by empowering his wife, the current vice president. Attempts at dialogue have repeatedly broken down, and the international community is rapidly losing patience with the government's stonewalling and brutal use of force. At a special meeting of the the Organization of American States, a U.S.–supported resolution vigorously condemning violence against civilian groups and calling for a snap election received backing from 21 countries (60% of member states). But Ortega's government may have already lost popular legitimacy and may prefer isolation to the risks of early elections. The U.S. has already sanctioned several Nicaraguan government officials, and more pressure could follow if the electoral dialogue stalls. The impact: The crisis is unlikely to create any new divisions in Latin America, with only Venezuela voicing support for Nicaragua. In fact, the cycle of protests and state-terror may re-inspire opposition protest movements in Venezuela.